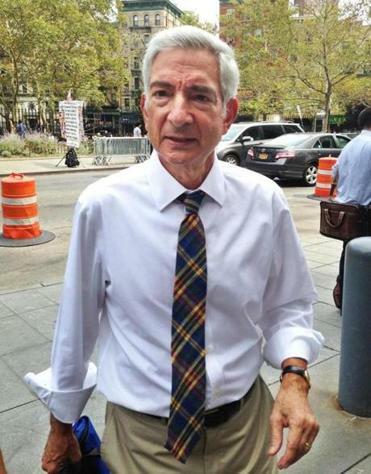 Judge Richard Berman entered federal court in New York on Monday. Below are some excerpts from federal Judge Richard M. Berman’s 40-page ruling on the battle between the National Football League, New England Patriots quarterback Tom Brady and the NFL Players Association over the four-game Deflategate suspension of Brady. Berman summarized his ruling in the fourth paragraph, highlighting it in bold. Based upon the foregoing and applicable legal authorities, the Court hereby denies the Management Council’s motion to confirm the Award and grants the Players Association’s motion to vacate the Award, thereby vacating the four-game suspension of Tom Brady, effective immediately. Deeper in the ruling, Berman elaborated on his reasoning.The judge did not examine the scientific conclusions of the Wells Report, but instead focused on Brady’s legal rights during the disciplinary process. The Court is fully aware of the deference afforded to arbitral decisions, but, nevertheless, concludes that the Award should be vacated. The Award (Goodell decision) is premised upon several significant legal deficiencies, including (A) inadequate notice to Brady of both his potential discipline (four game suspension) and his alleged misconduct; (B) denial of the opportunity for Brady to examine one of two lead investigators, namely NFL Executive Vice President and General Counsel Jeff Pash; and (C) denial of equal access to investigative files, including witness interview notes. The judge broadly addressed NFL Commissioner Roger Goodell’s conclusion that Brady was “generally aware’’ that Patriot support staff were allegedly tampering with the air levels in footballs during the 2015 AFC Championship game at Gillette Stadium in Foxborough. With respect to ‘general awareness’ of others’ misconduct - which is the principal finding in both the Wells Report and the Vincent Letter - Brady had no notice that such conduct was prohibited, or any reasonable certainty of potential discipline stemming from such conduct. The Court concludes that, as a matter of law, no NFL policy or precedent notifies players that they may be disciplined (much less suspended) for general awareness of misconduct by others. And, it does not appear that the NFL has ever, prior to this case, sought to punish players for such an alleged violation. Goodell based the length of the Brady suspension on comparable punishments imposed on players who violated the league’s substance abuse policy, including its ban on performance-enhancing drugs. The judge found that reasoning legally flawed. A federal judge rebuked the NFL as he freed Tom Brady from his suspension, allowing him to lead the Patriots next Thursday. The judge ruled that Goodell was “fundamentally unfair’’ to Brady when he refused to turn over the notes from the investigators from the Paul, Weiss law firm who produced the Wells Report. He also ruled that Goodell was wrong for refusing to let the NFLPA question NFL general counsel, Jeff Pash, whom the judge said played a key role in the Wells Report investigation. Denied the opportunity to examine Pash at the arbitral hearing, Brady was prejudiced. He was foreclosed from exploring, among other things, whether the Pash/Wells Investigation was truly ‘independent,’ and how and why the NFL’ s General Counsel came to edit a supposedly independent investigation report. As co-lead investigator and senior executive with the NFL, Pash was in the best position to testify about the NFL ‘s degree of involvement in, and potential shaping of, a heralded independent” Investigation. Having reached a conclusion based on the arguments over whether Brady had adequate notice and access to information, Berman said he would not decide on several other issues raised in the case. • An argument that Goodell upheld Brady’s suspension on appeal by improperly claiming that Brady “knew about, approved of, consented to, and provided inducements and rewards in support of” the game ball tampering scheme. Brady had protested that such a claim was not in the Wells report, and that Goodell should not have made the appeal ruling on grounds that were not found in the initial discipline. • Brady’s complaint that Goodell had improperly delegated his authority to discipline players “for conduct detrimental to the NFL” to football operations chief Troy Vincent. Andy Rosen can be reached at andrew.rosen@globe.com. Follow him on Twitter at @andyrosen.John R. Ellement can be reached at ellement@globe.com. Follow him on Twitter @JREbosglobe.